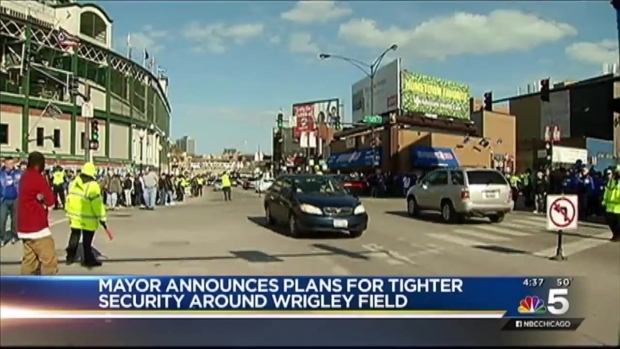 Just days after calling potential plans to close Clark and Addison streets during Cubs’ home games a “swing and a miss,” Mayor Rahm Emanuel announced a new plan to further enhance security measures at Wrigley Field on Wednesday. The project would widen the Addison Street sidewalk next to the stadium and add concrete posts called bollards as an added barrier. Cubs spokesman Julian Green confirmed the plan to widen the street’s sidewalk by four feet and install bollards similar to those found around federal buildings and other possible terror targets. "We are trying to implement a 21st century operational plan for a three-acre ballpark built in 1914," Green said in a statement. "That comes with challenges for us and the City, as with every other major change that has been proposed to Wrigley Field over the years. We continue to believe closing Addison and Clark is the right call, but we are open to exploring other ways to ensure safety." “I think that gets to the same goal, without having to close Clark and Addison, which has its own complexity,” Emanuel said of the plan, alluding to Rep. Mike Quigley's proposal in a recent radio interview. 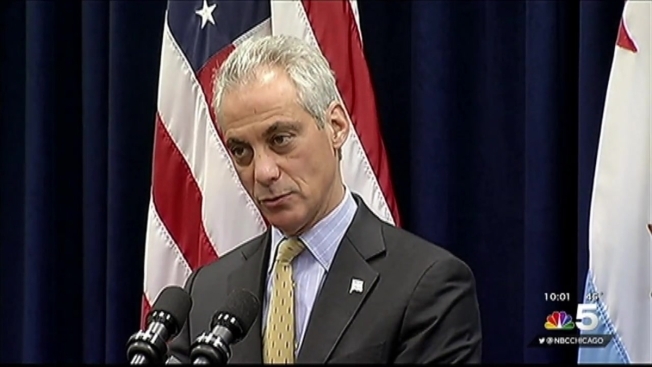 On Monday, Emanuel scoffed at Quigley’s plan to close the busy streets for Cubs’ home games. Nevertheless, Quigley lauded Emanuel’s latest plan and pledged to work to obtain federal aid for the project. The mayor also noted that Quigley has remained involved in conversations about the stadium’s security and that they share similar big picture goals. There are currently no similar plans to bolster security on Clark Street.